Last night’s premiere of Dancing With The Stars definitely made the news — while most people talked about the strange Lochte protesters, there was something pretty sweet that happened as well. 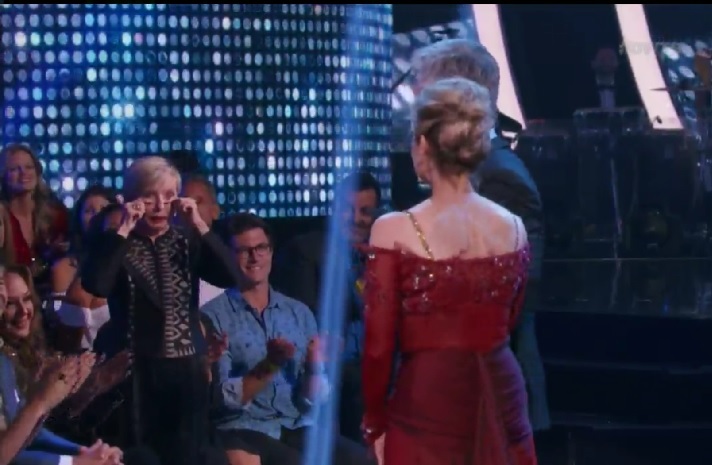 Maureen McCormick, best known for her role as the popular Marcia Brady on The Brady Bunch, performed a beautiful dance with partner Artem Chigvintsev (who you can tell she’s got a bit of a crush on) and received nothing but support from her Mom. Well — her TV Mom. Their song was a version of “(You Make Me Feel Like A) Natural Woman” by Mary J Blige, and the two performed a gorgeous waltz. 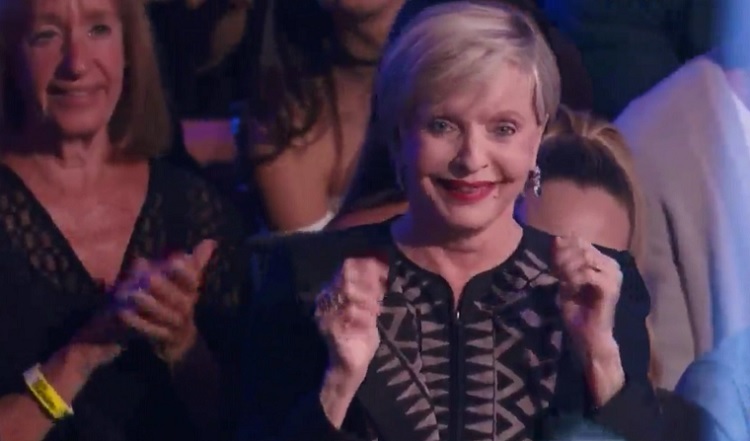 After their dance was over, McCormick was filled with emotions — and things got even sweeter when Florence Henderson, otherwise known as Carol Brady, wiped tears from her eyes and gave her a hug. As it turns out, she was watching from the audience the entire time. "I'm so proud of you," Henderson said, as she pulled McCormick closer. 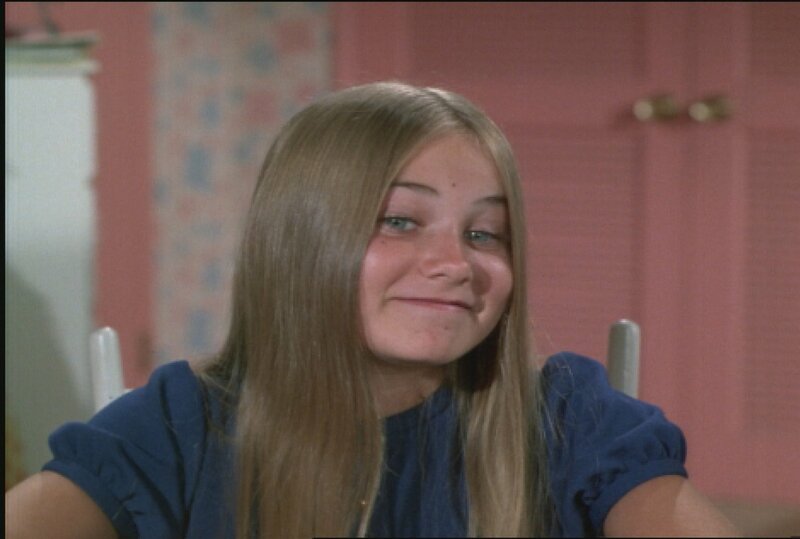 It’s so sweet that after all of these years (The Brady Bunch premiered in 1969, FYI) Henderson is still so supportive of McCormick. Without a doubt, the two of them have maintained a strong connection. Henderson is no stranger to the dance floor — she’s actually a Dancing With The Stars alum, having appeared on season 11 of the show back in 2010. Dancing with Corky Ballas during her season, Henderson was eliminated fifth. As for McCormick, she seems incredibly positive over every aspect of being cast on Dancing With The Stars, which will make for a great season. While McCormick had a bit of a falling out with costar Eve Plumb (and hey, Marcia and Jan are allowed to have a few rough patches) it’d still be great if other Brady family members decided to check out McCormick’s skills from the audience this year!